Offer applies to orders placed on the Daro Outdoor Collection at your local stockist only. 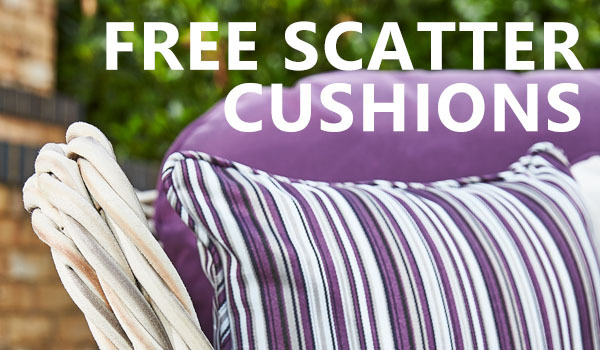 The promotion includes one free 922 style scatter cushion per seated place ordered from the selection below. Fresco Sets – Limited to Fresco Orange stripe and Blue stripe scatter cushions only. 6x scatter cushions per Fresco lounging set, does not include the round dining sets. Places, 2.5/3 Seat Sofa = 3 Seated Places. Dining Sets and footstools do NOT count as seats.